GREENVILLE, S.C. (KGO) -- On Thursday, Republican presidential candidate Donald Trump attempted to settle an issue that's followed him for years. He interrupted his speech at a campaign stop in South Carolina to tell the 1,800 in attendance that his trademark hairdo is for real. "I don't wear a toupee, it's my hair, I swear," he said. 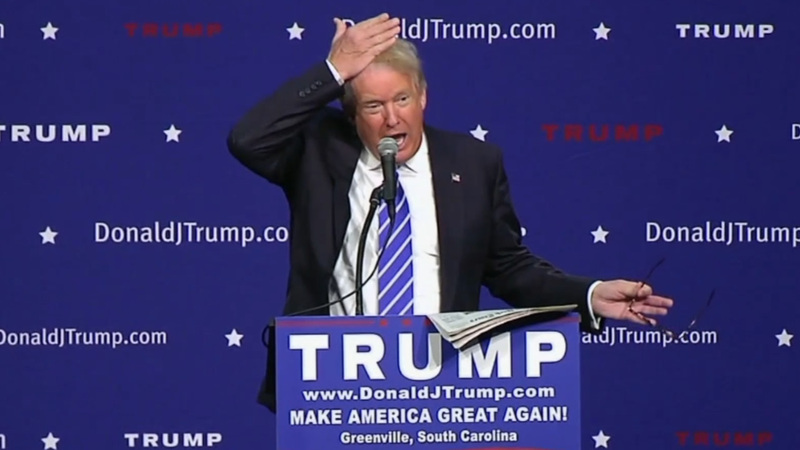 Trump even brought a woman out of the audience to take a closer look and told her to tug on his hair. As she pulled, he asked her to confirm that it's real. She said, "I do believe it is," to laughter and applause, and Trump tossed his copy of the Times into the crowd. Click here for full coverage on Donald Trump.